All of the following items were made by my dear friends in the Q'ero community. These items have been blessed and filled with loving energy of the family who makes them. 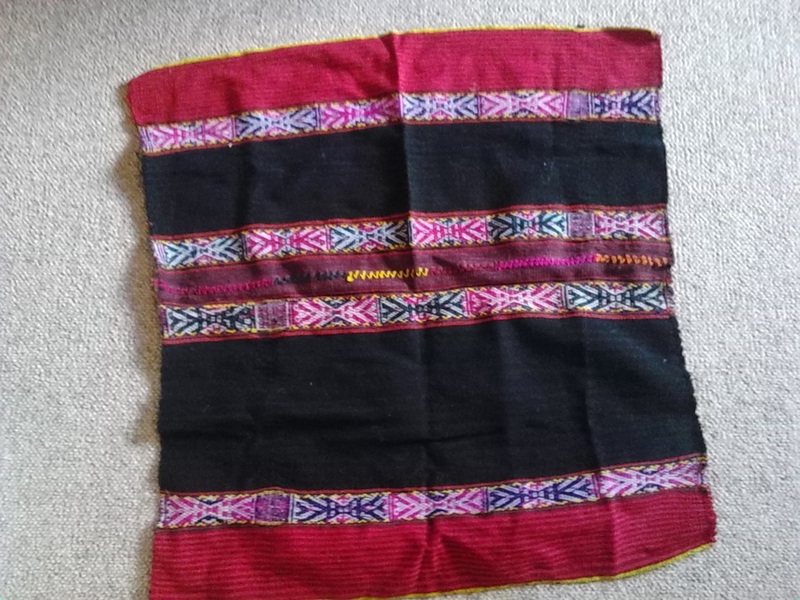 The weavings in the textile contain spiritual meaning that has been passed for hundreds of years through the weavings. These items are handspun alpaca, sheep or llama wool and dyed with natural herb dyes. If you would like to purchase an item, please email Courtney with your name, address, and item you would like to purchase. I will send you a paypal request which you can pay with paypal, credit, or debit. 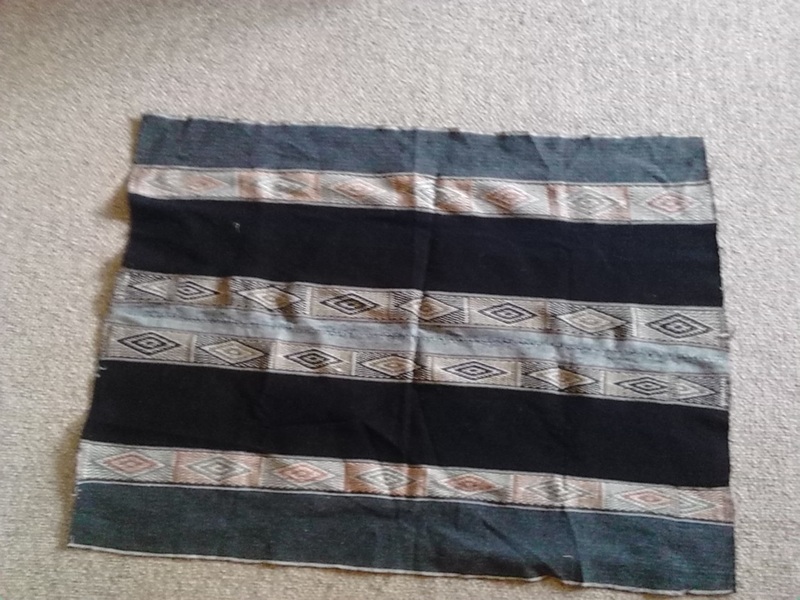 This alpaca alter cloth is used to hold and carry sacred objects. 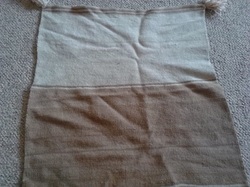 It is also used as an inside cloth inside a mesa (or medicine pouch). The two colors represent the balance between the masculine and the feminine. $40 plus $7 shipping and handling. This beautiful mesa cloth is rich in color with the traditional red crimson contrasting the black offering sacred balance of the elements. The center image is a depiction of the Inkas. The center line filled with multi-colored represents the water. A beautiful cloth to wrap your mesa and special items. $95 plus $7 shipping and handling. This lovely mesa cloth is grey and black with tones of light brown in the center. The contrasting colors represent the balance between the masculine and the feminine in the elements of nature. The center design represents Inti, the spirit of the sun. $95 plus $7 shipping and handling. This very lovely multi-colored purse shines with rays of sweetness. 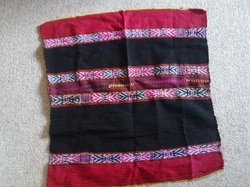 It can be used to carry sacred items or as a small purse to carry a few small things. The image in the center of the purse represents the sun and is bursting forth with rays of spirit and life. $25 plus $7 shipping and handling. Another very lovely purse with beautiful red and pink colors. The center image represents the water. $25 plus $7 shipping and handling.